Learn more about how we can remove those Age Spots, Liver Spots and Freckles. We offer the latest cutting edge technology for removing all tattoo colors. 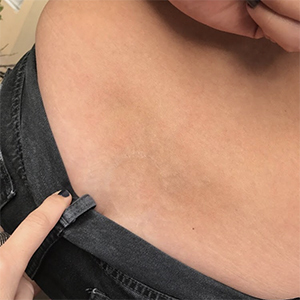 We are only one of two Las Vegas shops with the Rev Lite Q­switch ND YAG laser and it’s ability to also offer the R­20 method which breaks the ink up three times faster than traditional one pass laser treatments. 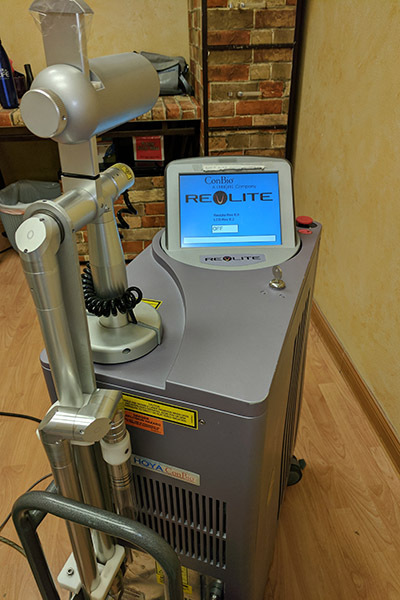 Our Laser Skin Treatment framework, RevLite® Laser is an up and coming era of Q-Switched Nd:YAG laser innovation that has been examined in various clinical trials and endorsed by the FDA for effective treatment of pigmentation issue. It uses PhotoAcoustic Technology Pulse (PTP) to convey extremely narrow pulse widths at pinnacle energy to vibrate and fragment the skin pigments. In contrast with other Q-Switched Nd:YAG lasers, RevLite® Laser conveys the vitality in its trademark flap-top beam profile, without spikes or problem areas. This results in less heat and improved safety. What skin conditions can be dealt with by RevLite® laser? How is our Laser Skin Treatment performed? Most patients will feel the Laser Skin Treatment as brisk shivering sensations, like small elastic bands snapped against the skin. For tattoo removal procedures, dark ink can absorb larger amounts of the laser energy and clients may feel a little more discomfort. Depending on the area treatments take between 10 to 20 minutes. RevLite® method is safe. There is a possibility of mellow flushing that should resolve after 30 minutes. The treated area may experience some localized redness for a few days. Most patients can continue their day by day routine instantly after the treatment. For removal of tattoos and superficial pigments, scabbing will form which will drop off after several days. Our specialist will talk about with you about post laser skin treatment care. For the most part, you ought to be tender with your skin, keep it hydrated and apply sun block. How many sessions of Laser Skin Treatment will I require? You may require somewhere in the range of 2 to 6 treatments to see the completed results. Some deep lesions may require more than 6 sessions. The treatment is repeated every 1 to 4 weeks. 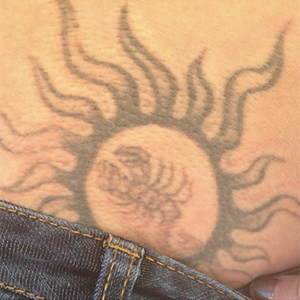 Learn more about Age Spot Removal and our Laser Tattoo Removal services.